Thank you to Consumer Crafts for sponsoring this post. All opinions are 100% my own. They have just about everything you could possibly want when it comes to craft supplies. 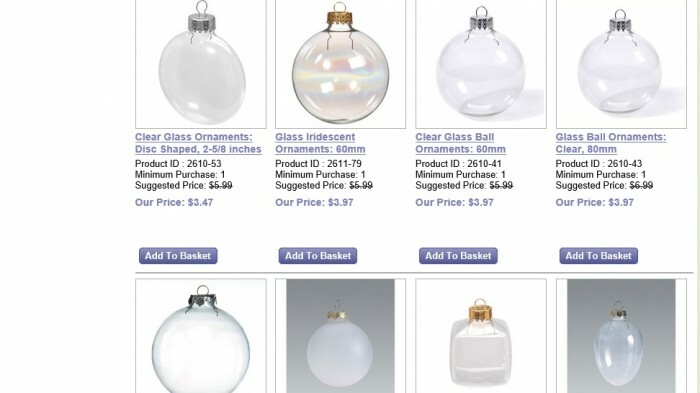 I just placed an order last week for all my Christmas craft supplies! I have lots of projects and homemade gifts planned and Consumer Crafts helped me get the supplies I needed without the hassle of trying to navigate the stores during this crazy holiday season. Which sounds more appealing? Navigating a packed-to-capacity parking lot and store or navigating this easy website from home in your pajamas? I vote pajamas any day. Check out some of may favorite items that Consumer Crafts offers! 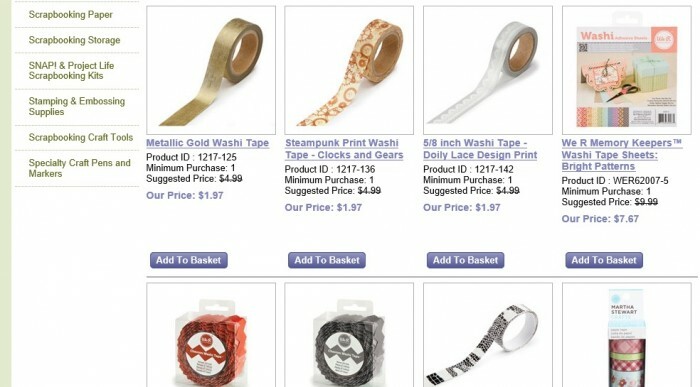 Washi tape is another item that is a MUST in my craft supply! Maybe a homemade ornament is on your list of things to make this year. How about this for an easy gift idea… shop at ConsumerCrafts.com, package all the supplies up in a cute little gift bag and give to the craft-a-holic in your life. They will LOVE you for it. I promise! No need to wait till Black Friday for deals. Take advantage of Consumer Crafts free shipping for orders over $75 AND don’t miss the 30% off coupon in their catalog. Just click on the image below to get the deal! Their catalog even contains project ideas! Consumer Crafts also has a blog with even MORE project ideas from some of my talented blogger friends! And if you are a Pinterest fanatic like me, check out their Pinterest page for holiday ideas. Make sure to stop on back the first week of December when I’ll be sharing what I’ve made from all the goodies that I purchased! such great inspiration!! loved this post! Love Consumer Crafts! So fun to shop on the couch with a glass of wine! I love Consumer Crafts. 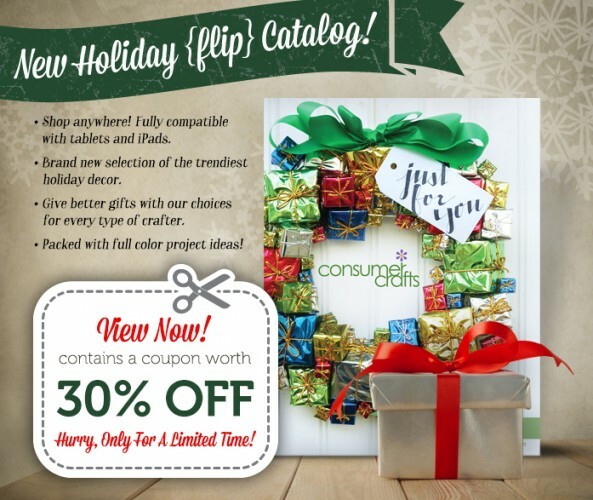 I really like that package wreath on their catalog!